According to the article, the UAW is attempting to force a vote to unionize workers at Nissan’s Canton, MS plant. 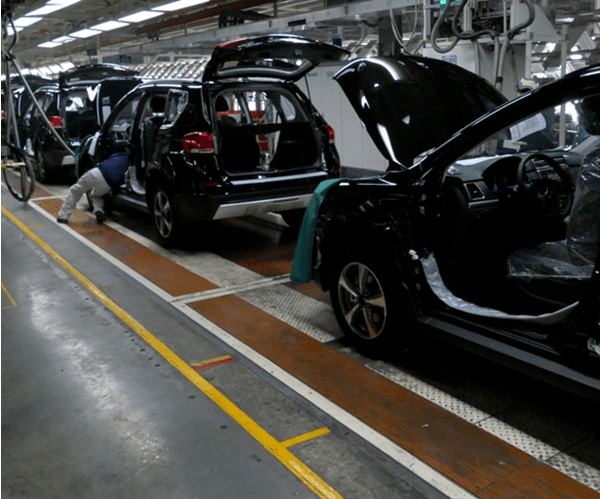 Nissan’s other U.S. Plants are nonunion, and historically, the UAW has been unable to unionize foreign auto plants in the South, but that hasn’t stopped the UAW. I hope the workers at the Canton plant vote the union down. Of course, even if they do, the UAW will, as it usually does, claim outside interference, bring lawsuits and repeat the cycle until it gets its way. The UAW did that in Chattanooga when Volkswagen workers voted unionization down in 2014. After the defeat UAW claimed interference, then tried again by organizing the skilled workers, though the plant workers still aren’t a part of the UAW. Earlier this year, the UAW and Bernie Sanders marched in Canton, MS to protest Nissan’s nonunion plant. The reality is, the unions do not care for the workers. The union just wants numbers. Why? More members mean more dues. More dues mean more money for officials. It is strictly a numbers game. RECALL ALERT: http://autoweek.com/article/recalls/27-million-takata-inflators-ford-nissan-and-mazda-vehicles-face-recall More recalls for Takata-equipped vehicles. If you own a 2007-2012 Ford, Nissan or Mazda, make sure you check out the recalls and if your vehicle is on the list, don’t hesitate to get it fixed. This recall is a bit different since these models have a drying agent, whereas the previously recalled inflators did not use a drying agent. Stay tuned to see if the recall expands. At the end of August, FCA is closing the Dodge Viper factory. The Viper was a beast, but with changes in the industry, you can get the same performance out of a smaller engine and often times for less money—like in the Corvette, for instance. And when you have the Demon and the Hellcat, you don’t really need the Viper. Still, we should take a moment of silence in respect or the venerable machine.